If you’re not cheering on your favourite team or player, watching sports becomes a passive pastime. Unless, of course, you have wagered on the game, in which case you’re sure to be cursing every call that goes against your preferences. But, what about times when your team isn’t playing or you need a little break from visiting the sportsbook? You’re in luck. Sports Interaction isn’t just a renowned sportsbook, it’s also a bustling online casino that was established in Canada in 1997. So, you can bet on your game and then hop right over to the slots and games, video poker and more. 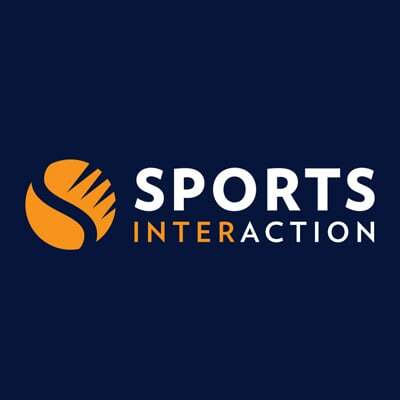 Sports Interaction is the very first online casino and sportsbook to be licensed and regulated in Canada. It’s also licensed in Jersey. Since the site was founded, it’s earned a solid reputation as one of the most reputable betting sites around. In fact, you can rely on Sports Interaction casino for immersive and high-quality gameplay coupled with some seriously exciting sports betting. You might be thinking, what exactly can a casino that is linked to a sportsbook offer you. Well, think no more, we’re here to tell you. Firstly, Sports Interaction online casino warmly welcomes new players with an enticing welcome bonus. When you make your very first deposit at the casino, you can use the bonus code to grab a 100% match deposit bonus up to €100. You can use your “free” cash right away at the instant play and download casino as well as on the mobile platform. You merely need a minimum €20 deposit to take advantage of the offer. It’s all pretty straightforward and there’s only a 30x playthrough requirement before you cash out any winnings on the deposit. That’s rather reasonable for an online casino. At the time of conducting our Sports Interaction casino review, there weren’t any no-deposit bonuses or free spins on offer. However, we must mention the referral rewards. This company wants you to spread the word, which is why they offer a rather decent bonus up to as much as €200 when your friends sign up and make their first deposit. The casino will credit your account with a nifty 20% bonus based on your friends’ first deposit. One of the cool things about this referral bonus is that you can redeem it several times, which means you get free cash just for getting your friends to enjoy the Sports Interaction casino experience. Sports Interaction states that from time to time they do offer casino bonuses and promotions to loyal players. Keep checking back for the latest offers that you can enjoy both on the desktop and mobile platforms. Since this online casino doesn’t offer a no-deposit bonus when you open a new player account, if you want to start collecting payouts from your favourite games, you need to select a banking option. All transactions on the site are safe and secure and processed via encryption software for the utmost protection. The withdrawal pending time is just 24 hours and payments are then completed anywhere between 24 hours and 14 days depending on your preferred withdrawal method. At the time of our review, there are no listed withdrawal limits. If you’re looking for mega casino gaming action and a huge variety of games, Sports Interaction casino will not disappoint. It’s powered by some of the biggest developers in the industry, such as Playtech, 1x2Gaming, iSoftBet, BetSoft and a few others. This means you’ll get to play the most up-to-date and first-class software around. Best of all, you don’t have to download the software if you don’t want to. Both the table and card games can be played in Instant Play. Of course, many people flock to online casinos for the slots. As technology and slot design improve at a rapid pace, so does the gaming. At Sports Interaction, you can enjoy all kinds of slots, including the latest and greatest titles. The slots are run by developer big-names like iSoftBet, Betsoft and Playtech. The menu of games includes everything from contemporary hits like Rocky, Top Gun and Gladiator to all the most current titles. There are even retro arcade themes for a true trip down memory lane. If you’d prefer old-school slots, you’ll find a myriad of mainstays, all upgraded to maximise your online experience. There’s also a wide selection of video poker, baccarat, poker, blackjack and roulette variants to choose if you prefer. Live blackjack – including low stakes, fun music and great ways to win. All the blackjack games at Sports Interaction Casino can be played with 7 seats and there are Bet Behind options, too. Live baccarat – the live dealer baccarat at this online casino is thrilling, to say the least. There are both standard and VIP tables on offer, and games are played with 8 decks. There’s the option for side bets and standard baccarat bets, all of which start at just €1 per hand. Live roulette – if you love the thrill of the wheel, you’re going to go mad for Sports Interaction casinos’ live roulette, complete with live dealers and multiple camera angles. There are several fun variations to choose from, including Auto Roulette, Immersive Roulette and, of course, European Roulette. You’ll also find a huge range of betting options to suit any gambling budget. But, that’s not all! In this casino’s live dealer section, you’ll also find an array of other table games, including live Casino Hold’Em, perfect for poker fans who enjoy a choice between dealers as well as multiple staked. Once you open a real money account at Sports Interaction Casino, you can play a wide range of the enthralling games and place sports bets on your smartphone or tablet. The dedicated mobile app is available for both iOS and Apple users and is quick and easy to download. If you prefer, you can play on the instant play version through your device’s web browser. Players using almost any device can get in on the action and have some of the best casino games around right at your fingertips. Android players, especially, are sure to enjoy the ease of use along with the super-easy navigation of the website. On top of that, any mobile user will benefit from the massive assortment of popular games. The mobile version serves up hundreds of online slots, card and table games and you can access customer support and the cashier on the go. If you’re just getting started at Sports Interaction online casino, you can also redeem your welcome bonus and take advantage of any other bonus codes at the time for some free cash to boost your beginning bankroll. Playing your favourite casino games online should never put your money or personal information at risk. Sports Interaction, therefore, takes all the necessary steps to ensure that your information is safe and secure. This begins with encryption thanks to state-of-the-art 128-bit SSL encryption software. Encryption makes it impossible for anyone to steal your banking or personal data. Further to that, your data is protected with an array of technologies, all endorsed by the Payment Card Industry Data Security Standard. As for fairness, this online casino has its games audited by the third-party team at TST. Every month, they generate a report stating that games are fair along with the previous month’s payout percentages for each category of casino games. You can read the report by clicking on the seal right at the bottom of the site. The Sports Interaction online casino is licensed and regulated by the Kahnawake Gaming Commission of Canada. It is also licensed in Jersey. Sports Interaction has received much acclaim for its superb customer service. Must of this praise is for the live chat function, which allows you to reach out to a helpful support staff member in just seconds, no matter the time of day. 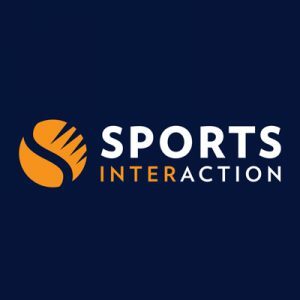 If you want to get hold of the team at Sports Interaction online casino another way, you can give them a call or pop them an email. The team’s response times, we found, were superior to other online casinos, so your questions or concerns are addressed in no time at all. If you’re looking for a trusted and reputable site to safely and securely play an array of the best games around, Sports Interaction online casino is a good bet. There’s a reason this brand has been around for a long time and earned a great deal of trust among the online gambling community. The company strives to take the needs of players incredibly seriously. Their customer service is superior to others in the industry, complete with friendly support staff that are knowledgeable in pretty much every aspect of the business. It’s evident that this brand is determined to stay on top of their game by continuously adding new casino games and exciting features, flexible banking options and a mobile casino experience that evolves as technology grows. The live dealer section is filled to the brim with options and the hundreds of slots titles make sure you’ve always got something to play to suit your preferences and your gambling budget. We’d love to see a heftier welcome bonus, but it’s still a good start to get you playing. All that’s left for you to do is sign up and see for yourself!